Olympia Time: When Cascadia lost to Washington in a poll in the Post-Intelligencer. And, are we named after Martha Washington? When Cascadia lost to Washington in a poll in the Post-Intelligencer. And, are we named after Martha Washington? As the long history of the Washington Territory was being rolled up, and statehood was on the horizon, a few people wondered whether it was a good time to change the name of the political organization. As long as we're changing the nature of the organization itself, right? So in May 1888, the Seattle Post-Intelligencer ran a poll, asking readers to suggest a new name. We've already read about how a few years earlier, our territorial representative suggested the name Cascadia for the possible new state. 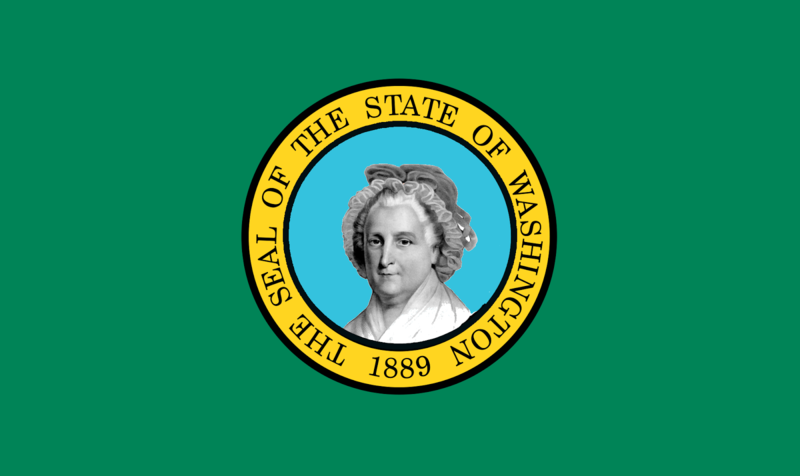 The main cause of the desire for a change seems to arise from the fact that giving of the name Washington to the new state would lead to confusion, and that endless trouble and annoyance would arise from the confounding of the national capital and the political division on the northwest Pacific coast. Out to of 695 replies, 564 were in favor or Washington and these were scattered evenly over all parts of the territory. Another fact worthy of note is that there was an entire absence of any local prejudice. Yakima was favored by more non-residents of the valley of that name. Tacoma was the choice of more people in King county than the people in Pierce county, while nearly all of the expressions favorable of Rainier were outside of Seattle. Columbia finished second with 21, Tacoma 19 and Olympia 14. Cascadia was seventh overall, beating out variations of Washington and Idaho. Towards the end of the story, the names relating to the Grays expedition was cited as a reason that Washington is so important and vital to our region. Just weeks after the constitutional convention was wrapped up in Philadelphia, Robert Gray left for the Northwest with his ships the Columbia and Washington. Of course, now we have Grays Harbor, the Columbia River and obviously Washington State. Except the ship Washington's full name was Lady Washington. Martha Washington.